(CNN)W ithout artificial intelligence there wouldn't be much left of Facebook as we know it today. When LeCun established the lab, Facebook was already dabbling in deep learning — a type of machine learning he's worked on and championed since the 1980s. Deep-learning software, modeled after the way neurons work in the brain, ingests loads of data and learns to make its own predictions. 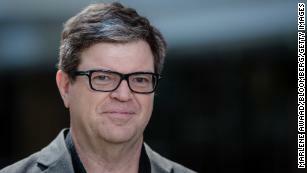 Yann Lecun, head of artificial intelligence research at Facebook, says deep learning plays a key role in how we use the social network. But Facebook's AI efforts have been met with criticism, too. For example, the company is turning to AI to help alert human moderators to hate speech shared on the platform, but plenty of these posts are able to slip through cracks of the system. While deep learning and other AI methods are evolving, it could take years for AIto excel at moderating content.